Author: Willocks, Tim Set In . . . This is what we dream of: to be so swept away, so poleaxed by a book that the breath is sucked right out of us. Brace yourselves. May 1565. Suleiman the Magnificent, emperor of the Ottomans, has declared a jihad against the Knights of Saint John the Baptist. The largest armada of all time approaches the knights' Christian stronghold on the island of Malta. The Turks know the knights as the "Hounds of Hell." The knights call themselves "The Religion." In Messina, Sicily, a French countess, Carla La Penautier, seeks passage to Malta in a quest to find the son taken from her at his birth twelve years ago. The only man with the expertise and daring to help her is a Rabelaisian soldier of fortune, arms dealer, former janissary, and strapping Saxon adventurer by the name of Mattias Tannhauser. He agrees to accompany the lady to Malta, where, amid the most spectacular siege in military history, they must try to find the boy—whose name they do not know and whose face they have never seen—and pluck him from the jaws of Holy War. 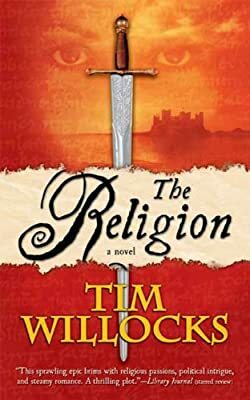 The Religion is the first book of the Tannhauser Trilogy, and from the first page of this epic account of the last great medieval conflict between East and West, it is clear we are in the hands of a master. Not since James Clavell has a novelist so powerfully and assuredly plunged readers headlong into another world and time. Anne Rice transformed the vampire novel. Stephen King reinvented horror. Now, in a spectacular tale of heroism, tragedy, and passion, Tim Willocks revivifies historical fiction.